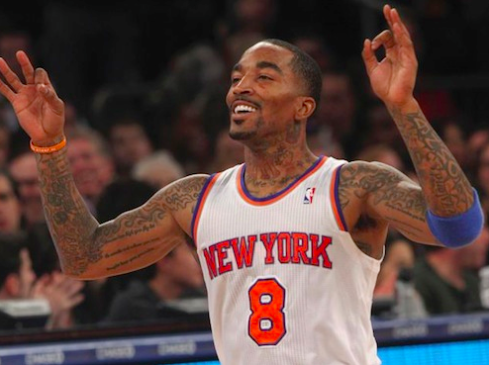 ESPN is reporting that 2013 NBA Sixth Man of the Year J.R. Smith will start for the Knicks tonight against the Atlanta Hawks. This will be Smith’s second time starting a game for the Knicks: He started one game two seasons ago against the Bucks. This entry was posted in Articles and tagged JR Smith, jr smith knicks, jr smith start, jr smith starter, jr smith starting, jr smith starting 5, KNICKS, knicks lineup, KNICKS MEMES, Knicks news, knicks rumors, knicks starting 5 on November 13, 2013 by Tommy Rothman. Well, we all saw it coming, right? In the least surprising breaking story of all time, JR Smith has been suspended for failing THREE drug tests for recreational substances such as Marijuana. Smith’s was already in danger of missing the first few weeks of the season with a knee injury. His suspension will begin the first game he is physically able to play, so if he is ready to come back 2 weeks after opening day, he will have to wait an extra 5 games after that. 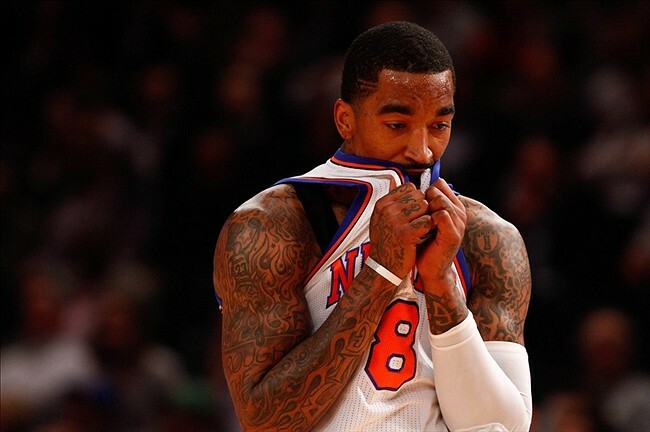 This is another frustrating off-court setback for J.R, who has had disciplinary issues through his career. This entry was posted in Articles and tagged JR Smith, jr smith drug test, jr smith drugs, jr smith injury, jr smith knicks, jr smith memes, jr smith pot, jr smith smoking, jr smith smoking weed, jr smith suspended, jr smith weed, jr smith weed memes, knicks injuries, KNICKS MEMES, Knicks news, knicks rumors, nba news on September 6, 2013 by Tommy Rothman. 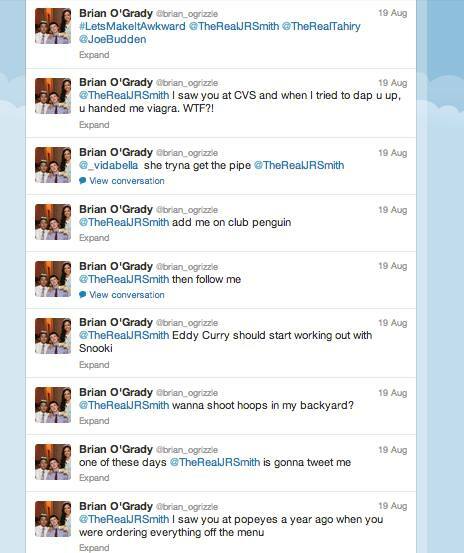 A couple days ago, I got a message from a fan by the name of Brian O’Grady who told me he was an avid fan of Knicks Shooting Guard JR Smith. After taking a look at Brian’s twitter (and his desperate attempts to get acknowledged by Smith), I felt a bit bad, because I knew the odds of J.R sending Brian a tweet were rather low. However, while Brian may have been facing an uphill battle in trying to get noticed by Smith, one of the things he tweeted struck me as rather true. Brian was spot-on, but unfortunately, he is not an attractive woman of hispanic descent, and he is too big of a fan of Smith to insult the Knicks’ star Sixth Man. But as Clyde Frazier would say, Brian “would not be denied”. Brian changed his twitter profile— the header, the picture, the bio, everything— and took on the role of a stunning young hispanic woman named “Marissa Prejano”. He (she?) 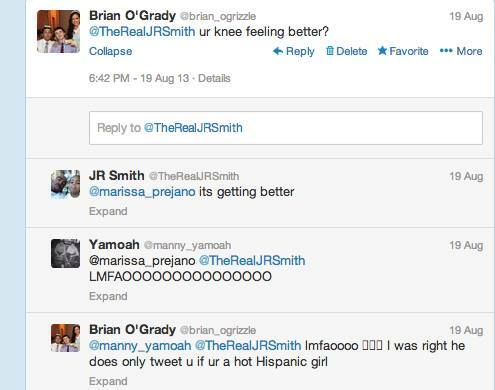 then sent J.R a tweet, and Smith promptly responded. Well played, Brian. And as for you, Mr. Smith, I hear there is a certain Chargers Linebacker who wants to be your friend. 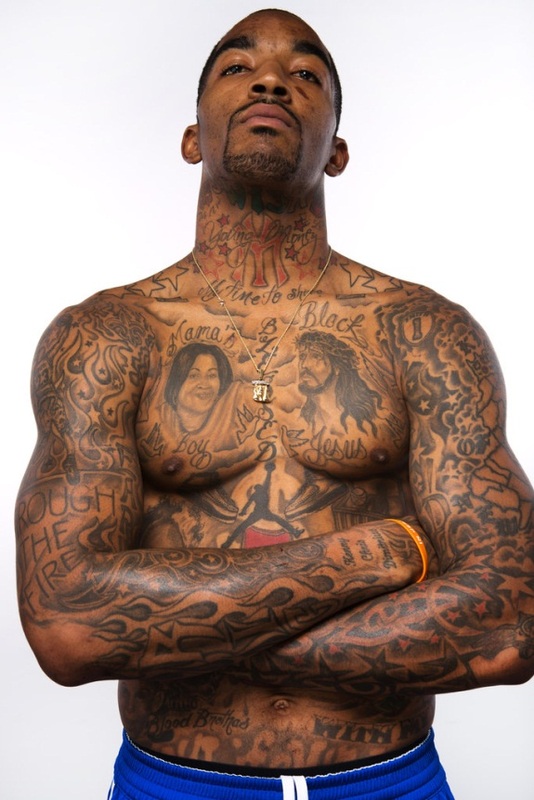 So in conclusion, if there is anyone out there who wants to have a chat with JR Smith, you better be prepared to “edit” some of your background info first. This entry was posted in Articles and tagged JR Smith, jr smith girls, jr smith knicks, jr smith twitter, jr smith twitter girls, KNICKS, KNICKS MEMES, knicks memes jr smith, the conquest of jr smith on August 24, 2013 by Tommy Rothman. Knicks star 6th man JR Smith has had surgery on his knee and is scheduled to miss 3-4 months, which would put his return somewhere between the middle of training camp and 2 weeks into the regular season. This is disappointing news for Knicks fans, who watched their team battle injuries all of last season. It appears that this injury is related to the knee injury which caused Smith to struggle so badly in the playoffs. The injury is apparently chronic and seems to have built up over time, so a surgery to try to eliminate or mostly solve the problem seems to be the best course of action, and it is one that the Knicks have chosen to take. We should know more in the near future about the severity of this injury. My gut feeling is that it will not be a long-lasting concern, as long as we can get JR back in a timely matter, but you never know with these Knicks. Let’s hope he only misses 6 or 7 games, if any. And let’s hope that when he comes back, he can get his explosiveness back very quickly. I will keep you guys posted when we find out more. 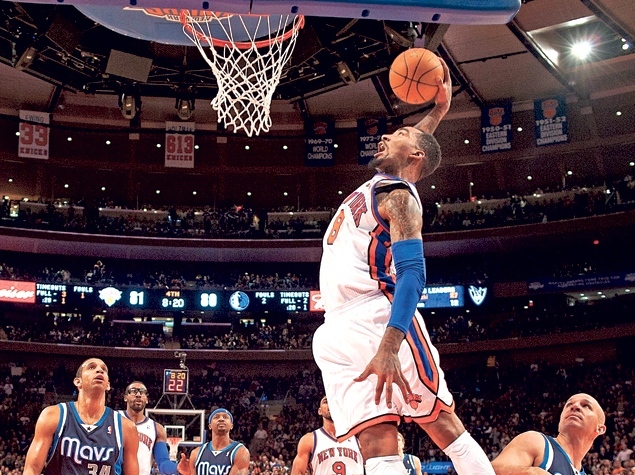 This entry was posted in Articles and tagged JR Smith, jr smith injury, jr smith knee, jr smith knee injury, jr smith knee surgery, jr smith knicks, jr smith return date, jr smith surgery, jr smith timetable, KNICKS, knicks injuries, knicks injury update, knicks knee injuries, Knicks news on July 15, 2013 by Tommy Rothman.